The Government has just issued the Resolution No.46/NQ-CP on Vietnam visa exemption for citizens of 5 countries including the UK, France, Germany, Spain and Italy when entering Vietnam. Citizens of 5 countries above entering Vietnam with the duration not exceed 15 days since the date of entry, regardless of type of passport, immigration purposes, meeting the following regulations of Vietnam law will be exempted visa. Mr. Nguyen Quy Phuong, Director General of Travel Department said, on June 18th, the Prime Minister issued the formally Resolution on unilateral visa exemption for citizens of Germany, France, Britain, Italy and Spain. Accordingly, citizens of these countries entering Vietnam do not need to apply a visa Vietnam with the duration of 15 days, with effect from July 1st, 2015 to June 30th, 2016. Providing that, these citizens to Vietnam must acquire passports with the validity of at least 06 months since the date of entry. In addition, the next entry to Vietnam without visa must be at least 30 days before the date of the last exit. To specify, the date of entry is on 4 August, and the date of exit is on 18 August. Then, the second entry is on 22 August. For the second entry, it is a must to have normal Vietnam visa, as the duration between the last exit and the second entry is not 30 days. Therefore, the visa exemption is optimal for tourists with a single entry with the last exit is 30 days before, and they will have a stay of less than 15 days. Other cases of single entry with stay of more than 15 days, and multiple entry must apply for visa to Vietnam. Particularly, for multple entry, the first entry can use the exemption, from the second time, it is a must to get new visa. At the regular meeting in May 2015, the Government agreed with the solutions to overcome difficulties and develop Vietnam tourism of the Ministry of Culture, Sports and Tourism, including visa exemption, electronic visa, facilitation of processes and procedures for granting visas. German, Britain and France are traditional markets with large volume of tourists and high spending. In the first 5 months of the year, the numbers of tourists in these markets to Vietnam are respectively 68,000, 90,000 and 99,000 arrivals. Mr.Tran Chi Cuong, Deputy Director of the Da Nang Department of Culture, Sports and Tourism said that Italy and Spain are the two new markets. 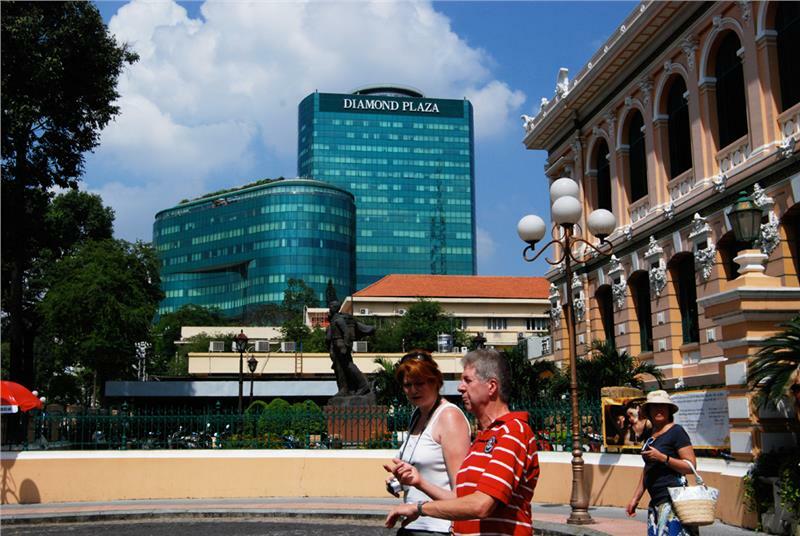 The visa to Vietnam exemption will certainly attract more tourists from these markets. In Resolution No. 92 / NQ-CP on some measures to promote Vietnam tourism development in the new period issued late 2014, the government also asked the Ministry of Public Security in the coordination with the Ministry of Culture, Sports and Tourism, Ministry of Foreign Affairs and relevant agencies to review, study, propose for expanding the visa-free countries associated with ensuring national security and order, public safety. Currently, Vietnam visa exemption is applied to countries of Japan, South Korean, Norway, Finland, Denmark, Switzerland, Russia and Belarus. Vietnam also exempts visa for 9 ASEAN countries on the basis of reciprocity. Additionally, tourists coming to Phu Quoc Island will be exempted visa to Vietnam for 30 days. By dint of the regulation on free visa for Vietnam since 2014, the number of Japanese tourists coming to Vietnam increases by 2.43 times, that of South Korean is by 3.6 times, and that of Russia is by 7.45 times (from 2009). Many international travel companies said this is a positive policy for tourism. Though we cannot currently assess the specific impacts of the exemption from visa, tourists and foreign travel companies will be happy with this policy. "This is a good policy. In the immediate future, even in this summer, visa Vietnam exemption will have good impact on the Italian and Spanish tourists who travel a lot in the summer, while the other markets have to wait until the end of the year" Ms. Bui Viet Thuy Tien, Executive Director of Asian Trails Co. specializing in the European market, said. According to Mr. Tuan, the visa exemption is a favorable step but only a part in attracting international tourists to Vietnam. When having the advantage of visa, tourism must connect to aviation of those countries to take tourists to Vietnam and to promote Vietnam tourism in those countries. In addition, the current shortcomings as the quality of service, human resources, and the tourism environment need to be solved.